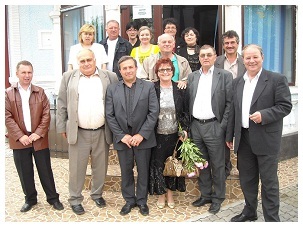 In May 2009 George Georgiev - mayor of Morava village together with representatives of the municipality visited the town-hall of Fantalene village in Romania. 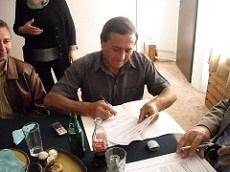 The main purpose of the both sides was exchanging experience and cooperation in working out common plans and their realization. 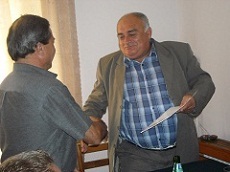 The projects were directed on joint actions in solving common problems concerning environment, protection of health, tourism, culture, business, infrastructure and undertaking actions improving the relations between the two villages. 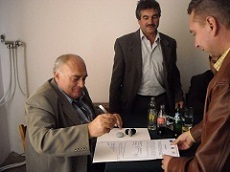 On 9th of October 2009 at the invitation of George Georgiev a delegation from Fantalene village (Teleorman, Romania) visited Morava and concluded an agreement. 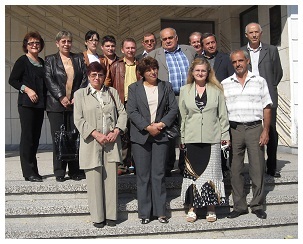 This was the second meeting of the representatives of the both sides.